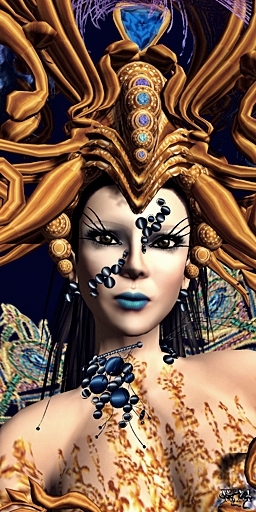 This entry was posted in Fashion, New Releases and tagged 3D, 3D people, afro, Art, Baiastice, beauty challenge, beauty contest, beauty peagant, Blog, Blogger, BOSL, Clothing, Collar, Couture, crown, Earrings, Fashion, Fashion in Pixels, Feathers, Female Clothing, female wear, Finesmith, formal attire, Glam Affair, Gown, Hair, head piece, High Fashion, indian, indio, Jewelry, Kimmera Madison, Linn, Manifeste, Mely Gibbs, meta virtual, Metal, Metaverse TV, Miss Panama, Miss Panama 2012, Miss Virtual World, Miss Virtual World 2012, Model, Modeling, Mstyle, MVW, MVW 2012, National Dress, national gown, natiopnal costume, Necklace, New, New Release, New Releases, News, photographer, roses, Second Life, Secondlife, Sheer, Skin, SL, SL Clothing, SL Fashion, SL Style, Style, Tres Beau, Virtual World, Wicca Merlin, woman, Yula Finesmith. Bookmark the permalink. ← Awesome New Poncho at Yasum!! !